Where we are as a church – and where we’re headed. We’ll start at 30,000 feet and then land in our 1 John passage for today. As a church we are “rebooting” theologically. What does that mean? First of all, it does NOT mean we are changing our doctrinal statement. Not only is the gospel of Jesus Christ necessary for our salvation, but the gospel is also essential for our growth (or sanctification) in Christ. (How does that happen?) A Christ-centered, or gospel-centered approach will focus more on what Christ has done, than on what we should do. 3 Summits scheduled 6-weeks apart to reaffirm values, mission, and vision in preparation for calling a permanent pastor. The first one is Sat, Jan 14th from 9am-1pm. A working lunch and childcare will be provided. If you’re 13+, we’d like for you to be there. Sign-ups start today. Sign-up sheet – or email Beth in the office. **The more we accomplish in the next 6-7 months, the higher caliber pastor we will attract to SBF. At least 3 Concerts of Prayer where we will gather as a congregation – both to learn more about prayer and to pray. These will also include extended times of worship. And regular Sunday morning updates to keep everyone informed on what is happening (twice a month). 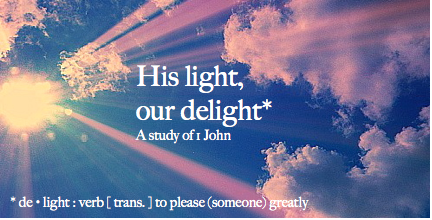 In Sept we embarked on a study of 1 John. Today marks our 13th week. Why study 1st John? 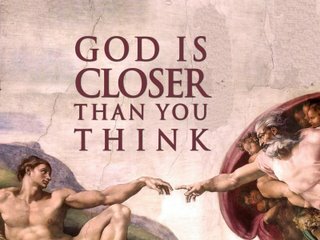 As we have been saying – the gospel of John was written that we might believe while 1 John we written that we might know. 1. 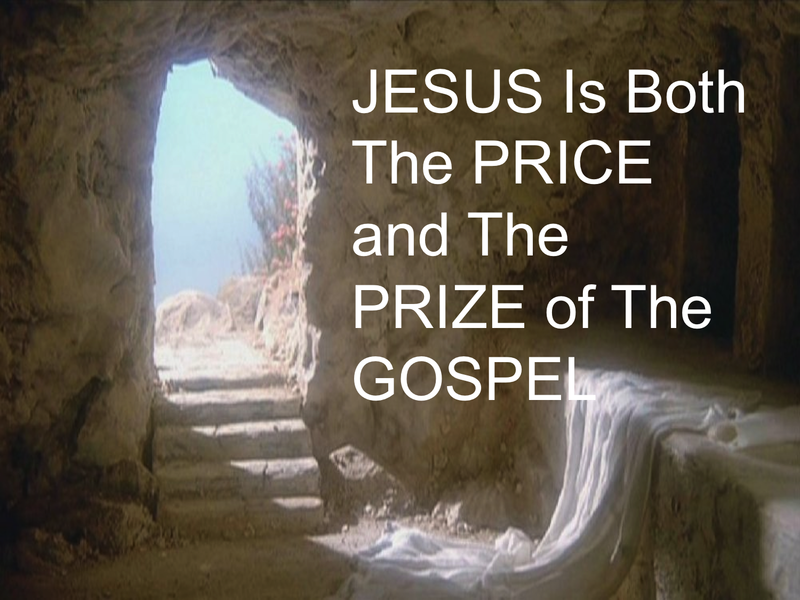 The first is an objective assurance that Jesus (and Christianity) are true. Jesus claimed to be God. Jn 14:9 – Anyone who has seen me has seen the Father. Jesus was either a liar, a lunatic, or He was telling the truth (trillema). John is asserting in this letter that Jesus and Christianity are true (objective assurance). 2. The second aspect of assurance John is speaking to is the subjective assurance of our own standing in Christ. To enjoy an intimate personal communion with Him – which John says, is eternal life. Another way to describe assurance is assured hope. A person may have saving faith in Christ, and yet never enjoy an assured hope. To believe and have a glimmering hope of acceptance is one thing, to have delight and joy and peace in our believing — and to abound in hope, is quite another! S/He that has faith does well. But s/he that has assurance does far better — sees more, feels more, knows more, enjoys more. (vs. 4:17-18) Being perfected in love is a process. (vs. 4:19-21) People are in your life for a purpose (i.e., conflict can be redemptive). (vs. 5:1-5) Passion for God’s presence prepares the heart to obey. There are two words I’d like to look at more closely today from v.13, asking the questions, 1) What does it mean to believe? And 2) What does it mean to know? 1. What does it mean to believe? The Greek word is the verb pisteuō (from the same root as the word for faith) and occurs about 250 times in the NT. Matthew uses the word 10 times, Mark 10, Luke 9, John’s Gospel 99 times – and 9 times in 1 John. The bad news is that not all belief is saving belief. Look with me at John 2:23-25: Now when He was in Jerusalem at the Passover, during the feast, many believed in His name, observing His signs which He was doing. 24 But Jesus, on His part, was not entrusting Himself to them, for He knew all men, 25 and because He did not need anyone to testify concerning man, for He Himself knew what was in man. There is evidently a belief that does not save us. Paul exhorts the church in Corinth to, “Examine yourselves, to see whether you are in the faith” (2 Cor 13:5). This is the kind of examination that John is referring to in 1 John 5:12-13. In 1859 a French tightrope walker named Charles Blondin, became the first person to cross 160 feet above Niagara Falls on a tightrope. He walked several times – back and forth. The large crowd gathered and a buzz of excitement ran along both sides of the riverbank. The crowd “Oooohed!” and “Aaaaahed!” as Blondin carefully walked across one dangerous step after another. One trip across he was blindfolded and pushing a wheel-barrow. Upon reaching the other side, it’s said that the crowd’s applause was louder than the roar of the falls! Blondin suddenly stopped and addressed his audience: “Do you believe I can carry a person across in this wheelbarrow?” The crowd enthusiastically shouted, “Yes, yes, yes. You are the greatest tightrope walker in the world. You can do anything!” “Okay,” said Blondin, “Who will get in the wheelbarrow? ?” No-one did! To merely give intellectual assent does NOT save us. So, what’s the good news? The good news is that there is a belief that does save. To “believe” means the active acceptance of the message about Jesus. The Greek word is echō. It speaks of a joining – like a marriage. Turn to Roms 8. This chapter is about life in the power of the HS. Let’s begin in v.15 For you have not received a spirit of slavery leading to fear again, but you have received a spirit of adoption as sons by which we cry out, “Abba! Father!” 16 The Spirit Himself testifies with our spirit that we are children of God, 17 and if children, heirs also, heirs of God and fellow heirs with Christ, if indeed we suffer with Him so that we may also be glorified with Him. What grip does fear have on your life? When you suffer, do you turn TO God, or AWAY from God? Do you turn TO God’s people, or turn AWAY from God’s people? 2. What is the “water and the blood”? Some scholars think the water is a reference to the birth of Jesus and the blood is a reference to His death on the cross. This hypovolemic shock causes fluid to gather in the sack around the heart and around the lungs. Others have speculated that the water and blood are references to the sacraments of baptism and communion. What’s the bottom line? Is your belief a saving belief? Have you gotten in the wheelbarrow? This is the objective response that John is looking for. To use Paul’s language from Romans 8:15-16, is there a “spirit of adoption” resident in your heart? Has, “the Spirit Himself testified with your spirit that you are a child of God”? This is the subjective response that John is looking for. This is how the gospel works for our sanctification…We are well aware of our depravity AND we have a growing witness and testimony of our Heavenly Father’s sovereign call ON our lives and transforming presence IN our lives. Justification (declared righteousness) and Sanctification (growing in righteousness), the process of sanctification must flow out of the reality of justification. Adapted from the essay Faith and Assurance by J. C. Ryle. *God’s perfection doesn’t merely reject or punish evil: it overwhelms it with good. *Take a nurturing response toward your emtional self, listen to the emotional self in the presence of God (Ps 139:1-3), draw your emotional self toward God, stay and wait/receive in God’s presence (Ps 46:10; Lk 10:42) — It is scary to be deeply revealing in God’ presence. *Gideon and God test one another. God is available for interaction. Invitation to be bold (vs foolish). We are free to be bold. *God “tests” us to reveal our hearts to ourselves (he already knows). *OT is brutal and filled with war. The NT concept is that our battle is NOT against flesh and blood (Eph 6). *Spiritual Formation – Intentionally partnering with the work of the Holy Spirit to help people learn to love the Lord their God with all of their heart, mind, soul, and strength. *Marriage is a duel to the death which no man of honour should decline. I refuse to die while I am still alive.